My dear friend and mentor Ryan Basham constantly asks me if an “opportunity” I’m considering is really just a distraction. If you’re a talented/likable human being, “opportunities” will come your way. The longer you’re around and the more you develop your skills, the more they will come your way. I ran into this a couple years ago. I was cranking away here in la la land, moving my acting career forward and chugging along, when out of the blue a director friend of mine came to me and asked if I would be a producer on his film and support in getting it funded. I was flattered. I was excited. And I started spending more and more time researching, strategizing, and doing whatever I could to get this film made. So what’s the problem? For me, everything seemed hunky dory, until I looked back at my vision and goals for the year, and realized that nowhere on that huge list had I declared anything about producing. Moreover, the movie wasn’t going to have me in it as an actor, nor was it going to directly do anything to get me on screen. Now, was it potentially a “cool” thing? Sure. Would it be better than sitting on my couch eating Funyuns? Of course. But at the end of the day it wasn’t going to move me directly towards my acing goals. So I gracefully bowed out of my involvement with the project. The importance of a vision. So how do you know if something’s an opportunity or a distraction? For me, I analyze the potential opportunity in light of the goals and vision I set for the year. Every year I do a comprehensive annual review process in which I declare exactly what I want to accomplish in the coming year. From there, I can look at anything that comes my way and see if it directly serves some part of my vision. The power of saying no. A few years ago I read an incredibly enlightening article about a study that was done to see how people deal with doors closing (literally in the study, but as a metaphor for letting opportunities go). What’s interesting is that we are prone (conditioned?) to fight like hell to keep a door open, even if it’s completely illogical to do so. What’s powerful, then, is that when we release things from our lives, we open the space for new things to enter. Be clear on your vision. Know what you’re committed to. Deeply assess any new task/project/opportunity that comes your way against your vision. Have the courage to say no to things that don’t fit that—even if you’re not sure what will take its place. Trust me, as you continue to tell the universe what it is you’re really up to, an actual opportunity will be waiting just inside that one door you kept open. 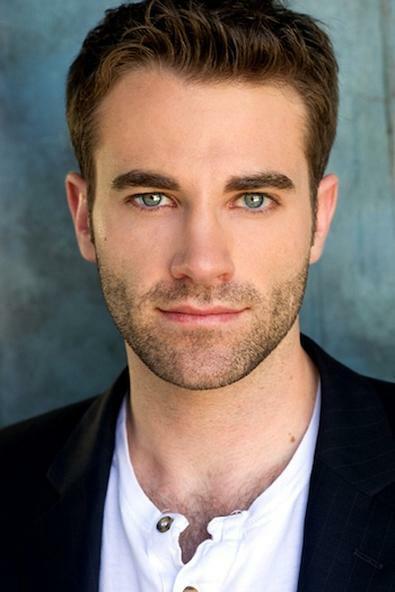 Ben Whitehair is an L.A.-based actor who grew up in Colorado and spent many years as a homeschooled cowboy. Whitehair also dabbles as a Broadway and film producer, entrepreneur, SAG-AFTRA board member, chair of the SAG-AFTRA NextGen Performers Committee, career coach, facilitator of the L.A. Actors Tweetup, blogger, and social media philosopher.